Did you watch the Bachelorette last night? If so, did you notice that they served quinoa on the two on one date? I loved Nate trying to describe to the other guy what quinoa was! 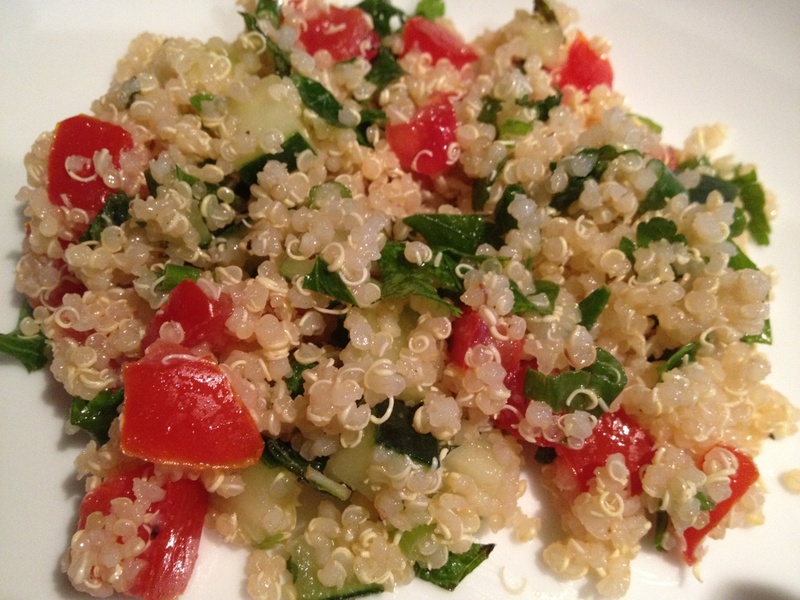 In honor of the Bachelorette, I am sharing this quinoa recipe which I also happened to make yesterday. On another side note, tabbouleh is one of my husband's favorite foods. I am not a huge fan of bulgar which is the main ingredient in traditional tabbouleh. Instead, I substituted quinoa for the bulgar and it turned out fabulous! You could serve this as a side to any main entree or as a snack to keep in the refrigerator. This salad makes more than enough for 4 people. 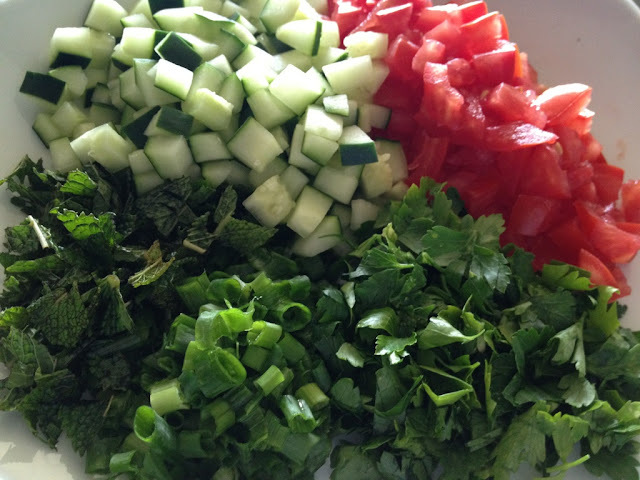 Wash and dice your tomatoes, cucumber, parsley, mint and green onions. Cook your quinoa according to package directions. 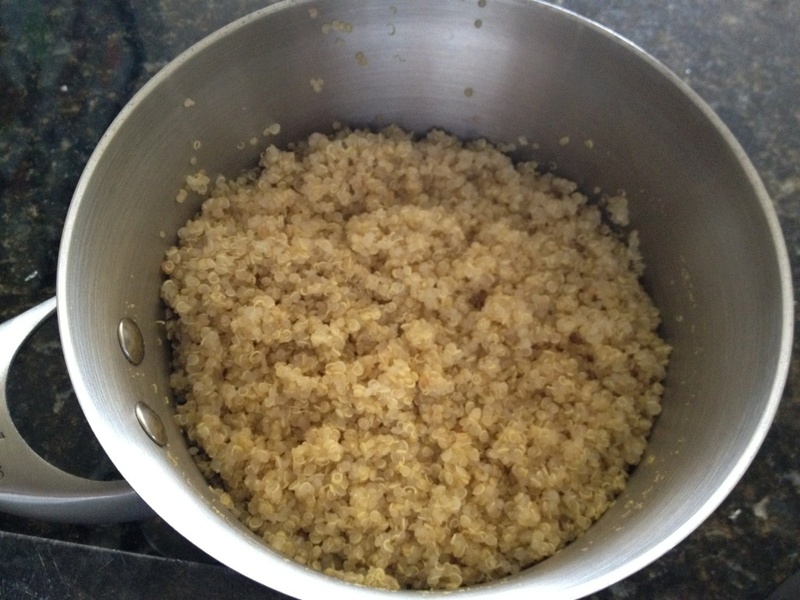 I brought 2 cups of water to a boil, added the quinoa and reduced the heat to low and cooked for 15 minutes, covered. I drained the excess water that did not absorb with the quinoa and allowed the quinoa to cool for 10 minutes. 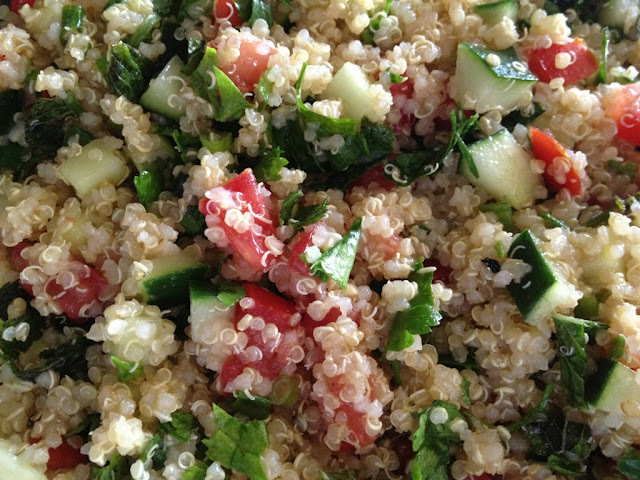 Mix the quinoa, tomato, cucumber, parsley, mint and green onions together. Finally, mix in the lemon juice, olive oil, and salt and pepper. 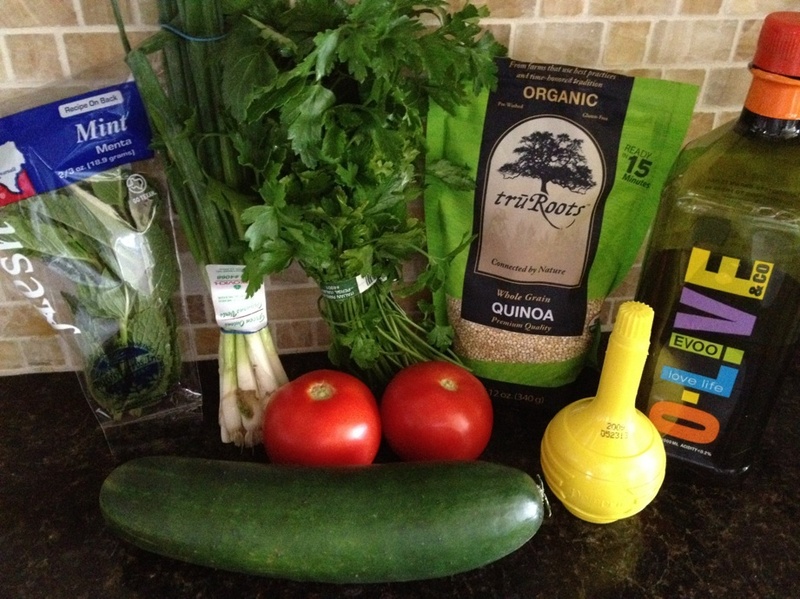 For being extremely healthy, this was pretty darn good!